Windscreen wipers not working? Just one wiper working? Wiper movement erratic? Wiper link keep popping off? X8R Ltd is a British company completely dedicated to providing high quality improved design vehicle components; correcting original manufacturers design faults. We take the common faults associated with a variety of vehicle manufacturer’s parts and re-design and manufacture parts that will not fail again or that will prevent damage to vehicles. The poor quality plastic rod ends wear quickly and the wiper push rods pop off of their respective ball joint causing the symptoms noted above. Luckily we have THE solution. Fit our precision made wiper linkage clip to the worn linkage and stop your linkage popping off, restoring your wipers to full health at an unbeatable price! 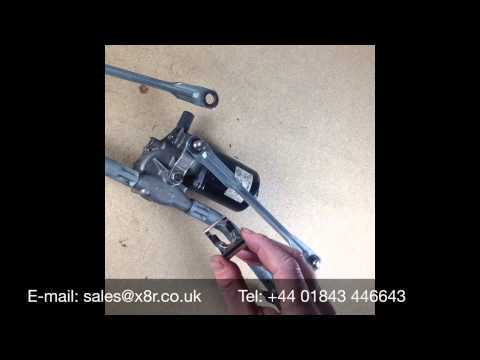 Our wiper linkage clip is designed as a temporary repair until a new linkage is fitting; however we have had this item fitted on our test vehicles for over a year with no issues! Many customers have had these fitted without fault for months even years. Simply install our precision fit wiper linkage clip and restore your wipers, full instructions are included to guide you through this simple process. Our unique design wiper linkage clip will fit most common wiper linkages including duel linkages! Our clip will fit all linkages with a ball joint of 14mm diameter or less with a 9.5mm or less recess below the ball for the linkage to operate. ©2017 X8R Ltd, All Rights Reserved.